Multi-purpose wet & dry vacuum cleaner with Tact automatic filter clean system for heavy duty dust extraction. 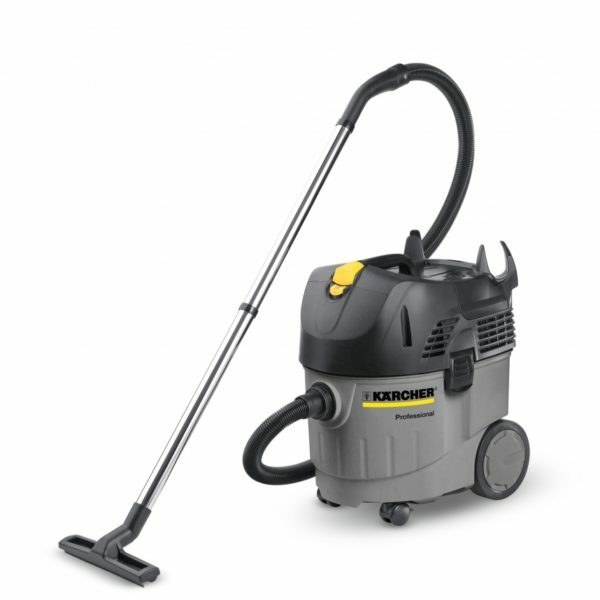 The NT 35/1 Tact is a tough, high performing vacuum cleaner capable of removing wet or dry dirt very quickly. With Kärcher’s unique Tact automatic filter clean system as standard, the NT 35/1 is designed for continuous removal of even very fine dust without blocking up the filter, minimising downtime and therefore increasing productivity. The perfect machine for trade, crafts, industry, and anywhere else that portable, high performance dust control is required. The filter cleans itself with powerful blasts of air. This automatic process guarantees constantly high suction power. Further benefits: low maintenance costs, long filter service life.